Hershey’s chocolate has become a fixture in American culture as a symbol of enjoyment. Hershey’s bars, Hershey’s kisses, and even Hersheypark have immortalized Milton S. Hershey’s pursuit of a chocolate empire. The chocolate that many people know and love today is the result of a century-old process, which emerged in the wake of various industrialized food production methods. 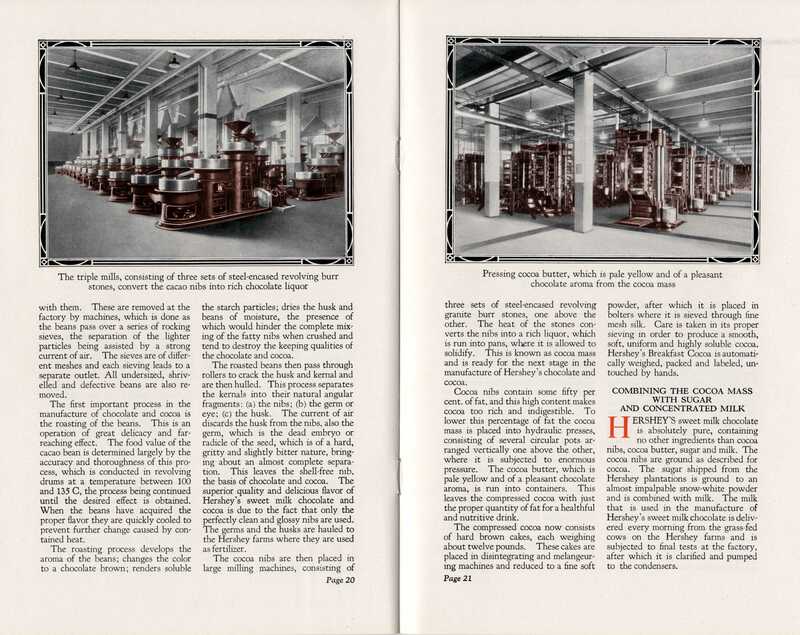 Developments in preservation, mechanization, retailing/wholesaling, and transport had immense impact on Hershey’s business, and on the food industry more broadly (Goody 72). Though the history behind a Hershey’s bar is not the first thought that comes to mind while enjoying it, it is important to understand the candy’s journey to widespread prominence. Hershey’s is only one manifestation of an entire shift in both production and consumption due to industrialization in the United States. The Hershey Company, in conjunction with industrialization, heavily influenced consumer habits while innovating in production (Martin). Hershey would not be the company it is today, nor would it have such extensive influence in America, if it not had timely access to various mass production methods. When thinking of industrialization in the United States, the textile and automobile industries often come to mind before food does. In “Industrial Food: Towards the Development of a World Cuisine,” Jack Goody categorically outlines many of the effects industrialization had on food, and he begins by explaining the importance of the biscuit (74). Goody notes that the biscuit “long pre-dated the Industrial Revolution, though its production and distribution were radically transformed by the course of those changes” and thus the biscuit became an “important element in the development of the industrial cuisine” (74). Though an unlikely suspect, biscuits played a part in establishing how food could be preserved and distributed to people near and far, therefore indirectly impacting chocolate’s eventual popularization on mass markets. The preservation and use of milk in chocolate development became key in the production of chocolate. Condensed milk, for example, benefitted from the rise in canning (Goody 77). Milk played an important part in Hershey’s mass production strategy. John Schmalbach assisted Milton Hershey in the quest to perfect the milk evaporation process, and eventually they achieved a “warm, smooth, sweetened condensed milk that accepted cocoa powder, cocoa butter, and other ingredients without getting lumpy” (D’Antonio 107). Achieving the perfect chemistry of the chocolate’s ingredients was instrumental in producing chocolate for the masses, and Hershey could make chocolate quickly and cheaply as a result (D’Antonio 108). Mass production allowed Hershey to produce chocolate to sell to consumers far and wide, and it also gave them the ability to reach consumers indirectly. Frank Mars and Milton Hershey developed a business relationship, and Mars’ flagship product, Snickers, used Hershey’s chocolate as a coating (Brenner 58). Hershey’s omnipresence and popularity in the realm of candy showed how American preferences were evolving. “It would also come to define the taste of chocolate for Americans, who would find harmony in the sweet but slightly sour flavor” (D’Antonio 108). Today, Hershey is a standard for the flavor of milk chocolate in the United States. Hershey’s impact on consumers has transcended flavor. Hershey’s bars, kisses, and other products have come to symbolize sweetness in every capacity. Two main factors continue to drive Hershey’s popularity: effective marketing and longstanding history. First, Hershey’s has employed a number of marketing strategies to communicate different stories that will resonate with consumers. Commercials, like the one below, integrate Hershey’s products into a story that aims to bring people together with the common love for the chocolate. Second, Hershey’s touts a well-established position in the market historically. Though competitors, like Cadbury and Nestle, have become increasingly popular, Hershey has the ability to evoke nostalgia in consumers. Their position in the market historically allows them to run such successful marketing campaigns. Without its history, Hershey’s could not leverage its position in the market to reach consumers on an emotional level. Industry has, of course, evolved exponentially since the advent of the Hershey Company. Now, the emphasis is on efficiency and innovation rather than using technology to establish a product’s foundation. Though Hershey has expanded its breadth by experimenting with different flavors and brands, its core products still contribute to driving the company. As displayed in the video below, Hershey’s Kisses still remain the small and enjoyable candies they always have been, but they are now produced more efficiently. One of the most important parts of the Hershey business model, in the case of Kisses, is accessibility. Michael D’Antonio describes the success of the small candy, noting that the high quantities and low cost “meant that every grocer, druggist, and candy store owner in America could stock Hershey products—and most of them did” (121). The production displayed in the video above carries on the legacy of ensuring retailers and consumers can access Hershey’s Kisses. Hershey has remained one of the most iconic American businesses and using its deeply embedded connections to markets and consumers has served the company well over time. Milton S. Hershey’s dedication to expanding chocolate in the United States has withstood changes in politics, culture, and trends. This would not have been possible without mass production and key developments in ingredients, business, and marketing. D’Antonio, Michael. Hershey: Milton’s S. Hershey’s Extraordinary Life of Wealth, Empire, and Utopian Dreams. Simon & Schuster Paperback, 2006. Goody, Jack. “Industrial Food: Towards the Development of a World Cuisine.” Food and Culture: a Reader, by Carole Counihan and Penny Van Esterik, Routledge, 2013, pp. 72–90. Martin, Carla. “The Rise of Big Chocolate and Race for the Global Market.” 13 Mar. 2018. SiggasNation, director. Hershey’s Commercial 2018 – (USA). YouTube, YouTube, 27 Sept. 2018, http://www.youtube.com/watch?v=uV0uxCBtiZQ. “Hershey’s Bar.” SITREP, 2016, military.id.me/news/hersheys-chocolate-bar-mre/. TODAY, director. See How Hershey’s Kisses Are Made In The Sweetest Place On Earth | TODAY. YouTube, YouTube, 9 Feb. 2018, http://www.youtube.com/watch?v=VOsSkbfbME0. The Free Labor Ideal is based in the idea that a worker, properly compensated for their efforts, can advance himself, ultimately becoming a full-blown venture capitalist, should he set his mind to it. This ideal is often contrasted with pro-slavery ideologies, which focused on the advancement of one class of people through the enslavement of another. [ii] Interestingly, while these two economic ideologies have radically different proposals for the lives of the underclass, their portrayal of the rich is mutually consistent. In the United States, government-sanctioned slavery didn’t end until 1865, with the ratification of the 13th amendment. Once the system was officially ended, entrepreneurs were forced to search out new forms of labor management. In the North, several wealthy tycoons had been experimenting with the concept of utopian communes. Building off European “Phalanstery” concepts, and emulating older entrepreneurs, like Henry Cabot Lowell, some businessmen decided to charter their own industrial hamlets. [vi] This eventually resulted in the establishment of company towns. 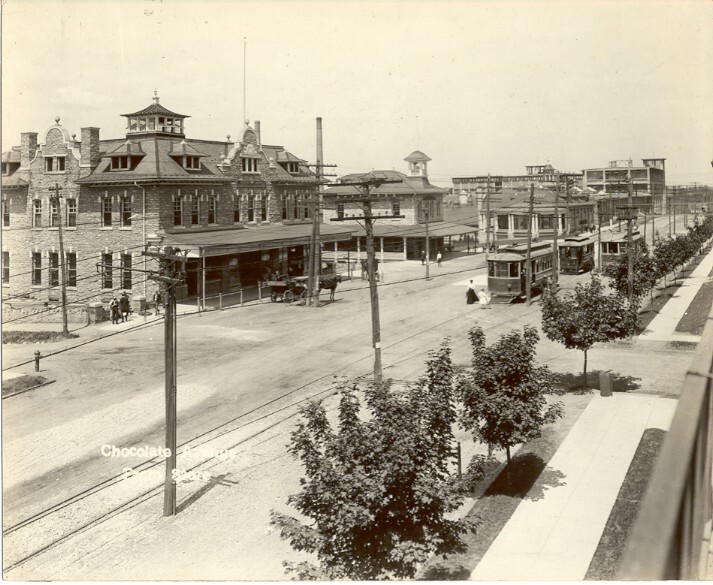 In the 1880s, George Pullman established the company town of Pullman, Illinois, on the outskirts of Chicago. [vii] There, he housed the workers employed in his railroad car manufacturing plant. Pullman carefully designed the community to be luxurious, providing his employees with sewage, gas, and internal plumbing. He then made sure to charge a reasonable rent to each worker, based on the average salary at the plant. Pullman strictly enforced social rules regarding life in his town, ever willing to fire and evict those that strayed out of line. 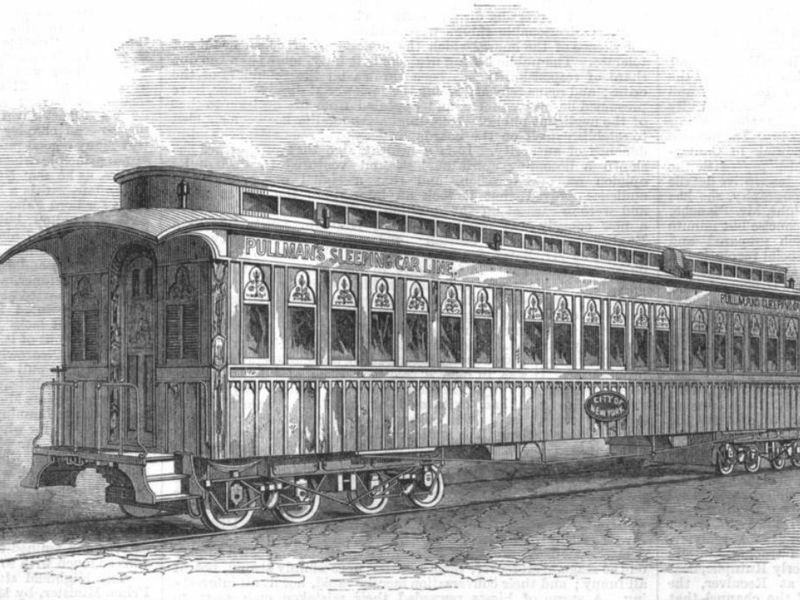 Unfortunately for Pullman, the railcar business took a turn for the worst, following a global recession in 1893. As demand dropped, he was forced to cut shifts, cut costs, and cut pay. This infuriated workers, who quickly noted that Pullman had not cut their rent. In short order, the citizens of Pullman Illinois organized into the American Railway Union, headed by famous socialist Eugene Debs. The ARU represented rail workers across the United States, and Debs mobilized the Union to reject all trains with Pullman brand railway cars. This crippled the country, essentially halting all rail travel and disrupting mail delivery. 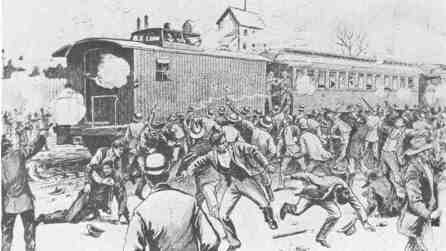 The standoff ended only when President Grover Cleveland sent in the army to break the railway strikes. Ten years later, Milton Hershey began construction of his own company town near Derry Township, in Pennsylvania. [viii] Hershey learned from the likes of Pullman, understanding that direct control of his town’s housing stock was unnecessary. Rather, allowing his laborers to make wages, own their homes, and invest in the local community was an effective way of maintaining their content. The fact that Hershey was the dominant employer in the area, the source of all dollars flowing into the town, and the provider of all local services, from the streetcar to the zoo, was enough. Hershey, like Pullman, had strict rules about how the town was meant to run. He allowed for over “a hundred lots that would be sold to people who would be permitted to build their own homes,” but those “houses would have to be two stories tall, with pitched roofs. Owners couldn’t use their property for any ‘offensive purpose or occupation’ – piggeries, saloons, and blacksmiths were expressly forbidden – and they could not build a fence without M.S. Hershey’s approval. [ix]” In this way, Hershey was able to tightly control how his company town would look and feel, while simultaneously granting workers the ability to own their own homes. The Company Towns of Pullman and Hershey are closer to a slave plantation than some may care to recognize. The means of production, the housing stock, the local services, the food, medicine, and transportation infrastructure, were all owned by one central authority figure. Each was based in the utopian ideal of their sole creator, and each existed primarily to enrich their founders off the labor of their inhabitants. The primary variable that differentiated Hershey from Pullman, and Pullman from the sugar plantations of yore, was worker freedom. Pullman paid his workers and didn’t coerce them through physical violence in the way the slave drivers did. Hershey went even further, allowing his workers to own property. Over time, Hershey would continuously concede even more rights to his workers, shortening their work days and raising their wages. This allowed them to get closer to the ultimate Free Labor Ideal and minimized the kind of dramatic backlash that previous company towns had faced. Hershey still exists today, in a way that Pullman does not, specifically because it didn’t collapse in on itself. The workers didn’t tear it down the way that slaves tore down their plantations in Jamaica, Cuba, and Haiti. In a sense, Hershey discovered that the most critical aspect of utopia is buy-in; ultimately, that means individual applicability, which proved easiest to achieve by maximizing the Free Labor Ideal. [i] Lincoln, Abraham. 1859. Speech Before the Wisconsin State Agricultural Society. [ii] VanderVelde, Lea S. “The Labor Vision of the Thirteenth Amendment.” University of Pennsylvania Law Review 138, no. 2 (1989): 437-504. doi:10.2307/3312315. [v] Julia Gaffield. 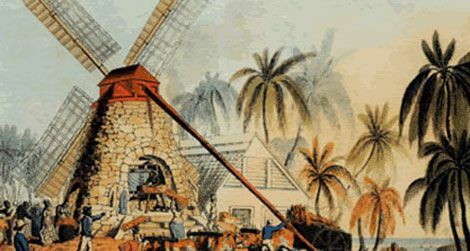 “Haiti and Jamaica in the Remaking of the Early Nineteenth-Century Atlantic World.” The William and Mary Quarterly 69, no. 3 (2012): 583-614. doi:10.5309/willmaryquar.69.3.0583. [vi] MacDonald, Allan. “Lowell: A Commercial Utopia.” The New England Quarterly 10, no. 1 (1937): 37-62. doi:10.2307/360145. [vii] Buder, Stanley. 1967. Pullman: An Experiment in Industrial Order and Community Planning 1880-1930. Dating back to the Olmec civilization starting around 1500 BCE, cacao has taken on uses in religious, cultural, and medicinal contexts (Coe & Coe, 2013). 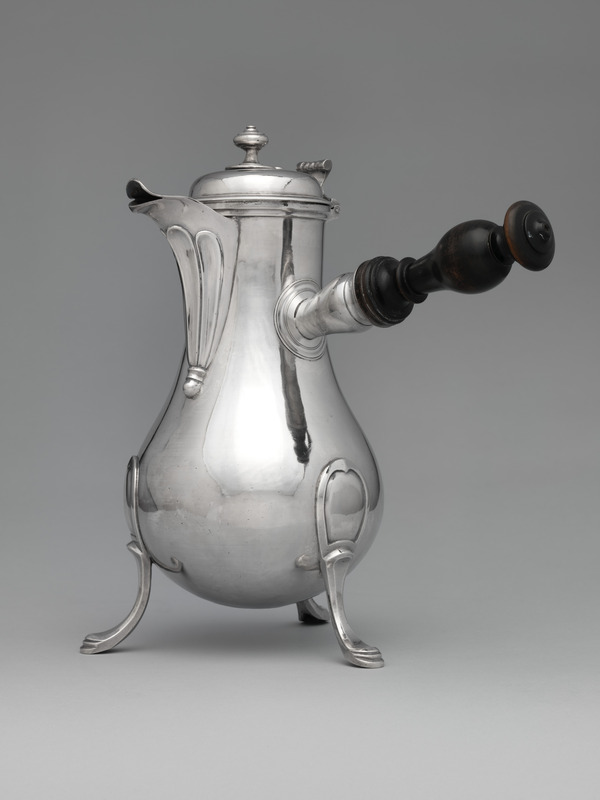 It was featured in early colonial documents alleviating fevers and treating fatigue. Global consumption of sugar and chocolate skyrocketed so that it contributed to the obesity epidemic in America. Americans now question the “healthy” snack that used to “food of the gods” (Lippi, 2009). As our society becomes more health conscious, chocolate consumption declines. Brands like Hershey’s and Mars are adjusting their products, and snackers opt for vitamin-rich dark chocolate, smoothies, and salads. For years to come in the United States, chocolate most likely will remain integral to social events but be consumed in smaller amounts and different contexts, such as protein shakes and bars, more frequently than caloric snacks off the shelves at the cash register. Although chocolate was consumed in religious rituals, social settings, and used for decorations, it was also applied to cure illnesses. The ancient Maya believed it had many benefits, including aphrodisiac qualities, which is why we gift it on Valentine’s day (Martin, Feb. 13 Lecture). Manuscripts featured chocolate in medical applications, such as the Badianus Codex of 1552 using cacao flowers to treat fatigue, the Florentine Codex of 1590 using cacao beans to treat hearts, and the Badianus Manuscript of 1552 applying cacao flowers to energize men in public office (Dillinger et al., 2000). The books of Chilam Balamand and The Ritual of the Bacabs are copies of codices and also feature cacao being used as medicine (Dreiss & Greenhill, 2008). The Maya used it during ceremonies to alleviate fevers, seizures, and skin abnormalities. 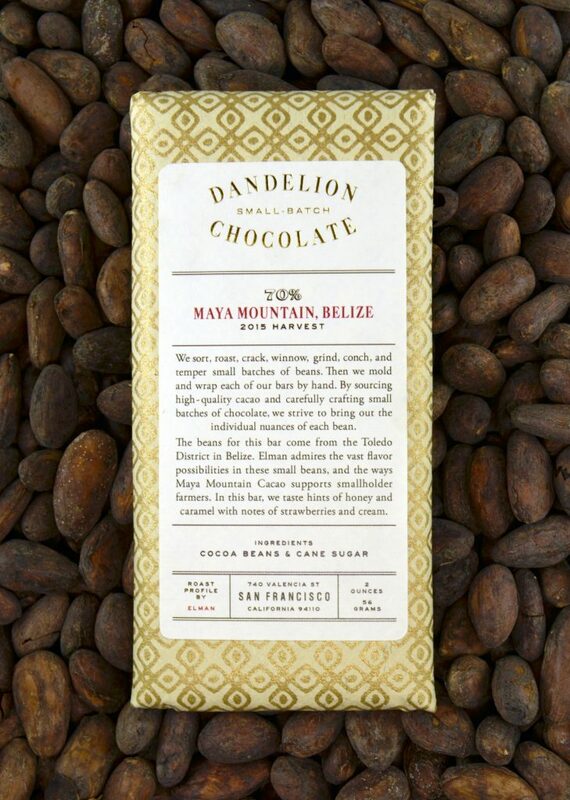 Their botanical remedies typically featured cacao as the main ingredient to cure such ailments. This image is from Codex Borgia and depicts an epidemic with vomiting and diarrhea (Dreiss & Greenhill, 2008). Alphonse de Richeliu introduced the treatment to France, and it was taken on for energy, digestion, breast milk production, kidney stones, poor appetite, and other purposes (Coe & Coe). The Spanish even believed it improved conception probability and breast milk quality (Dillinger et al., 2000). Chocolate was thought to have many nutrients, so the Church banned consuming it during religious fasts unless for medicinal purposes. Chocolate was considered a cure for almost any ailment. Chocolate consumption grew exponentially throughout the 1900s due to several innovations that allowed mass production of cheaper chocolate and enabled it to spread beyond the elite. Incomes rose and production costs fell after the Industrial Revolution. Coenraad Johannes Van Houton invented the hydraulic press, which separated cocoa solids from cocoa butter (Coe & Coe, 2013). 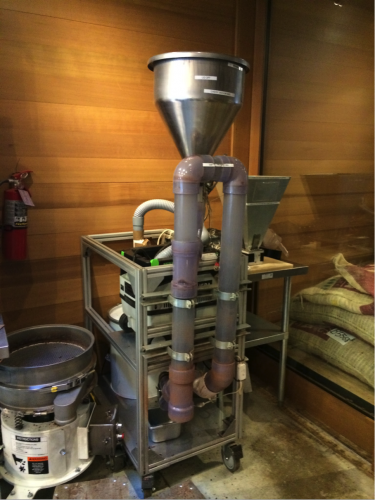 This machine, the hydraulic press, led to Joseph Fry & Son creating the first chocolate bar in 1847. As shown above, the press is comprised of cylinders, pistons, and hydraulic pipes. A piston is inserted into the small cylinder to create pressure so liquid cocoa can move through the pipes (Coe & Coe, 2013). As it goes through the press, the fat is squeezed out and the result is fat free cocoa powder. 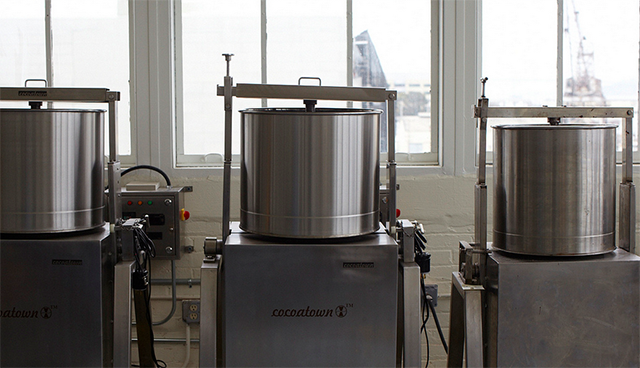 Another development was conchin, a stirring process to make chocolate smooth. These inventions allowed chocolate to change from a foamy drink only consumed by the elite to a cheap and delicious option for all classes. 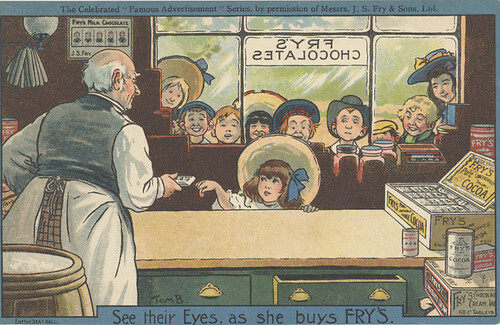 Fry & Nestle even created a solid form of chocolate, which further increased accessibility (Coe & Coe, 2013). Mintz noted that sugar production increased so much that it became integral to the English diet (Mintz, 1986). By 1900, sugar constituted 20% of English calories consumed and chocolate was a major part of their diets. There are positive effects to chocolate. Dark chocolate has a high cocoa content and antioxidants. Harvard Health notes that dark chocolate can help athletes’ oxygen availability during competition (Tello, 2018). Americans adopted chocolate as a delicious treat but had difficulty consuming it in moderation. Today, chocolate mostly is seen as a contributor to obesity. Many favorite snacks are loaded with sugar and fat. Cacao butter is filled with saturated fat and harmful for cholesterol (Mintz, 1986). With America wrestling with an obesity epidemic, chocolate and sugar are identified as culprits. People take to Twitter to vent about the terrible impact high sugar content has on health (Twitter, 2018). Rather than focusing on the medicinal qualities of chocolate, society now raises concerns about high sugar content (Twitter). Low prices of huge sharing size bags lead to some consuming excessive amounts of sugar in one sitting. A bag of Hershey’s individually wrapped chocolate bars contains up to 81 grams of sugar (Google Images). The negative health effects commercial chocolate contains are gaining media attention, and people are adjusting their eating habits accordingly. The image shows nutrition facts and total sugars in a sharing bag of chocolate that people sometimes consume by themselves. The commercial shows children examining snack ingredients. The commercial ends with a child remarking, “It’s all real, that’s pretty cool” regarding the three ingredients in Skinny Pop (popcorn, sunflower oil, salt). The next generation is being raised to be more health conscious and to consume natural ingredients rather than sugar and saturated fat. The consumption decline is shown by dominant brands diversifying as they lose market share. More than 50% of confectionary market share was controlled by only five brands: Hershey’s, Mars, Nestle, Craft, and Ferrero (Coe & Coe, 2013). Hershey’s recently acquired amplify snack brands, which owns Skinny Pop, in a $1.6 billion deal (Global News Wire, 2017). Hershey’s is even beginning to produce meat bars, as their former best sellers are no longer sailing off shelves. Hershey’s isn’t the only old dominant brand struggling. Mars invested in Kind Bars, which features health conscious mottos on their labels (Global news Wire, 2017). Chocolate brands adjust their products and tailor to a changing audience, which will alter how chocolate is consumed. Not only are Americans consuming less chocolate, but when they do it is in different contexts. Fitness spots such as Equinox still sell chocolate but offer bars that are gluten, dairy, sugar alcohol, and trans fat free. Chocolate is featured in low sugar bars and protein shakes more frequently than in caloric foamy drinks. The turn in society towards healthier lifestyles, less sugar consumption, and increased fitness has caused vendor diversification and is changing the way chocolate is consumed. Despite chocolate and cacao’s widespread medicinal uses in the past, it has been demoted to a sugary dessert in America. As people fight the obesity crisis, consumers practice self-control and grab alternative foods off the shelves. Brands with “skinny” in the name have grown in number: skinny pop, skinny cow, and halo top with the number of calories in huge print. Advertisements featuring natural ingredients, such as the Skinny Pop commercial, are successful. The chocolate market may never be the same—Hershey’s with the famous brown sealed chocolate bar now is selling popcorn and even meat bars (yuck). Not only has chocolate consumption declined, but the way the population consume it has changed because it is being revamped into healthier foods and not just sweet desserts. Dillinger, Teresa, et al. “Food of the Gods: Cure for Humanity? A Cultural History of the Medicinal and Ritual Use of Chocolate.” Oxford Academic The Journal of Nutrition, Oxford University Press, 1 Aug. 2000, academic.oup.com/jn/article/130/8/2057S/4686320. Dreiss, Meredith L., and Sharon Edgar Greenhill. Chocolate: Pathway to the Gods. University of Arizona Press, 2008. Hershey Company. “Hershey Enters Into Agreement to Acquire Amplify Snack Brands, Inc.” GlobeNewswire News Room, “GlobeNewswire”, 18 Dec. 2017, globenewswire.com/news-release/2017/12/18/1263249/0/en/Hershey-Enters-Into-Agreement-to-Acquire-Amplify-Snack-Brands-Inc.html. Lippi, D. “Chocolate and Medicine: Dangerous Liaisons?” Current Neurology and Neuroscience Reports., U.S. National Library of Medicine, http://www.ncbi.nlm.nih.gov/pubmed/19818277. Martin, Carla D. “Mesoamerica and the ‘Food of the Gods.’” Chocolate, Culture and the Politics of Food. Harvard University: Cambridge, MA. 13 Feb. 2017. Lecture. Mintz, Sidney. 1986. Sweetness and Power: The Place of Sugar in Modern History. New York: Penguin Books.Popcorn, SkinnyPop. “SkinnyPop | Simple Tastes Better.” YouTube, YouTube, 10 Aug. 2016, http://www.youtube.com/watch?v=_iCta8t7BmU. Tello, Monique. “Can Dark Chocolate Improve Vision?” Harvard Health Blog, Harvard Health Publishing, 1 May 2018, http://www.health.harvard.edu/blog/can-dark-chocolate-improve-vision-2018050313767?utm_content=buffer4fdfe&utm_medium=social&utm_source=twitter&utm_campaign=buffer. Wong, Venessa. “Hershey Shifts Gears As Chocolate Consumption Slows.” BuzzFeed News, BuzzFeed News, 26 Apr. 2016, www.buzzfeednews.com/article/venessawong/people-just-dont-eat-chocolate-like-they-used-to. Chocolate caramels are far from a monolith in the confectionery world. Whether caramel filled chocolates or chewy candies made by melting chocolate and caramel together, chocolate caramels become further diverse with different flavorings such as salt, orange, elderflower, cherry, cinnamon, and more. But do caramel and chocolate have a more significant relationship beyond being culinary soulmates? To answer this question requires first exploring what caramel is and then analyzing the artistic representations of caramel using modern understandings of chocolate. This blog post will discuss caramel as a literary symbol in two creative pieces – one fictional and one nonfictional – to argue that caramel, like chocolate, is a paradoxical figure of both familiarity and exoticism. Caramel refers both to a chemical manipulation of sugar – the results of which are featured in many sweets such as toffee, caramel hard candies, dulce de leche, and creme brûlée to name a few – and a soft, gooey or chewy golden-brown sweet substance popular as a candy itself, a filling or mixer for chocolate, or a thick sauce. Caramel is named after Count Albufage Caramel of Nismes, who is credited with discovering caramel as the final stage of boiling sugar in the 17th century (The Complete Confectioner 1883), though this perspective does not take into account traditional caramelized goods, candies, and recipes in non-Western contexts. Thanks to the trade network among the Americas, Africa, and Europe, the upper echelons of European and American society were familiar with sugar, the crucial ingredient in caramel. The difficulty of properly boiling and manipulating sugar soon made caramel in high demand (Confectioner). A page from The Complete Confectioner, Pastry-Cook, and Baker on the last three stages of boiling sugar. The level of detail demonstrates the level of skill and specialization that made caramel in high demand. Credit: The Complete Confectioner, Pastry-Cook, and Baker. In an American context specifically, the history of chocolate and caramel are inextricable. Milton Hershey, for example, is a name almost synonymous with chocolate. The truth is, Hershey was a repeatedly failed businessman until he perfected his recipe for caramel and created the Lancaster Caramel Company (Koonar 2018:341). It was only after the company’s success that Hershey became interested in chocolate, and his ability to fund his new hobby was largely due to selling the caramel company for $1 million, an unprecedented price for the beginning of the 20th century (341). The influence of Hershey and other American confectioners quickly established caramel as an American treat among European audiences (Olver 2000). Industrialization made mass-producing chocolate and caramel possible, yet the continued thought of these foods as American belies their dependence on chief ingredients cacao and sugar, both of whom came from exploitation of non-Western workers and goods. A picture of Hershey’s original chocolate from the late 1800s. The hyperbolic language and listed location on the packaging speak to American pride for a product made from foreign goods, rendering chocolate at once familiar and exciting for consumers. Most of a century later, the familiar-yet-exotic connotations of both chocolate and caramel stay strong. In the 2000 film Chocolat, for example, chocolate is rendered both instinctual and foreign, as an outsider opens a chocolate store in a sleepy French town and demonstrates her knack for guessing everyone’s favorite chocolate, even if they do not know it themselves. Similarly, caramel appeals to the basest biological senses of taste and consumption yet is rich and rare enough to be foreign – or recognizable but uncommon at most – to many people’s diets. For example, a study in Israel on consumer behaviors toward unfamiliar foods used imported caramel and peanut candies to examine how consumers may use unfamiliar goods’ prices as a proxy for their perceived quality (Heffetz and Shayo 2009:174). This sweet paradox of familiar foreignness, of exotic familiarity, manifests in artistic representations of caramel as well. In particular, this blog post examines a short story and a nonfiction essay for two modern ways of rendering caramel at once familiar and foreign beyond its history as a colonial food. It quickly becomes apparent that Sammy keeps Poppycock under lock and key at the request and for the benefit of the narrator, who instructs him not to open the closet unless she begs (40). Her desperation for the food eventually grows so great that she tears at Sammy’s clothes and threatens to dissect him, after which he unlocks the closet and she devours the whole industrial-sized tin of Poppycock in a haze (40). The narrator’s craving for Poppycock is shocking, especially against the backdrop of her usually healthy diet and her evident affection for her husband. In this story Poppycock practically takes on a mythical air, transforming the narrator into a golem-like creature who loses even the ability to form complete sentences or thoughts in her one-minded mission for the food (40). At the same time, this unearthly substance resides not in some faraway kingdom but in her husband’s closet, locked by her own command. Fischer’s story, therefore, epitomizes the familiar yet exotic nature of caramel, to the point of near absurdity. Jenny McKeel’s essay, on the other hand, approaches the caramel paradox from a perspective based in memory. She writes about growing up with her siblings on a strict macrobiotic diet, with exceptions for holidays thanks to her father’s advocacy (McKeel 2013:102). While the essay’s focus is on how McKeel’s relationship with her father is transformed by the latter’s eventual battle with Alzheimer’s disease, she tells the reader about their relationship by recounting the times they cheated on their strict diet together, sneaking into the kitchen at night or eating particularly fatty foods when her mother was out of town (103, 106). As a result, despite being a vegan and health nut McKeel describes a positive impression of decadent foods, over which she and her father bond throughout the years. But most striking is her describing a childhood visit to her paternal grandmother’s house and eating her grandmother’s caramel pie. Although she has listed several contraband foods that she and her father enjoy together by this point in the essay, the caramel pie is the first where she describes the experience of eating a contraband food with him. The importance imbued on the caramel pie by this artistic choice is furthered by McKeel’s and her father’s contrasting reactions to the pie. She eats the dessert with joy and is disturbed by her father’s lack of enthusiasm (102), which the reader realizes later is uncharacteristic for a man so enthusiastic about cooking and food. McKeel’s confusion, namely, “How can you still be sad with caramel pie?,” points to an alternate understanding of caramel as both commonplace and special (102). While McKeel and her family did not eat caramel pie at home, they had it every summer when they visited her paternal grandmother, thereby associating the pie with comfort and routine (102). On the other hand, McKeel’s question lends almost a medicinal quality to caramel pie, as if all emotional ailments are curable with caramel pie and therefore her father’s sorrow is confounding. For a mere pie to have such qualities is certainly unusual, thereby bestowing a strange or exotic air upon this otherwise homely food. While Fischer’s and McKeel’s writings are only two examples of caramel as a literary or artistic symbol, the striking parallels between their use of this confectionery demonstrate caramel’s function as both exotic and familiar, not unlike Chocolat‘s use of chocolate. In addition to complementing each other perfectly in the kitchen, caramel and chocolate can both evoke contradictory feelings of home and the unfamiliar as well. Perhaps caramel’s role as both familiar and unfamiliar is thanks to its affinity for chocolate and therefore gains this role by association. Whatever the reason, worldwide enjoyment of chocolate, caramel, and chocolate caramels has influenced creative and academic endeavors in addition to culinary adventures and will likely continue to do so. Author Unknown. The Complete Confectioner, Pastry-Cook, and Baker. Philadelphia: J. P.
Fischer, Reeni. “Licking the Platter Clean.” Gastronomica 7, no. 1 (2007): 39-40. Demand?” American Economic Journal: Applied Economics 1, no. 4 (2009): 170-199. McKeel, Jenny. “Hamburger Pie.” Gastronomica 15, no. 2 (2013): 101-118. Time Toast. “History of Hershey Chocolate.” Last modified May 17, 2018. https://www.